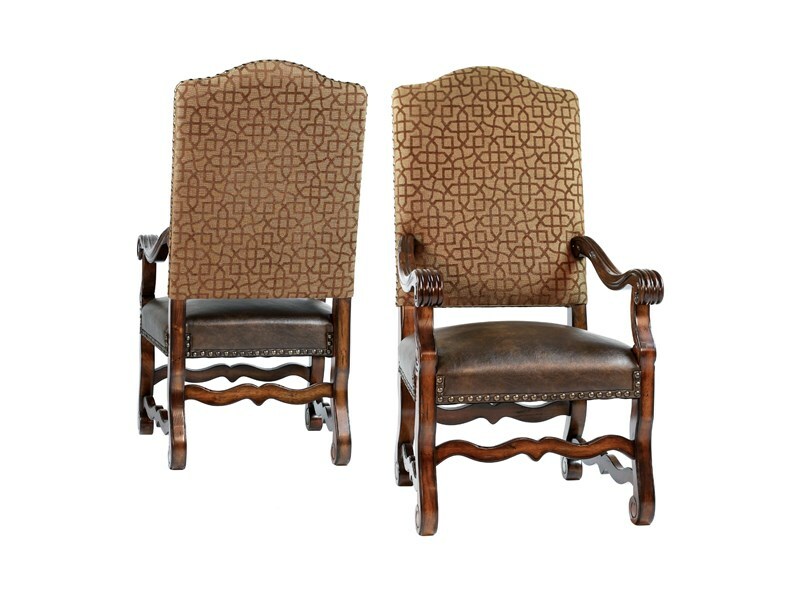 Brown Chenille Upholstered Dining Chairs - Tuscan Style! 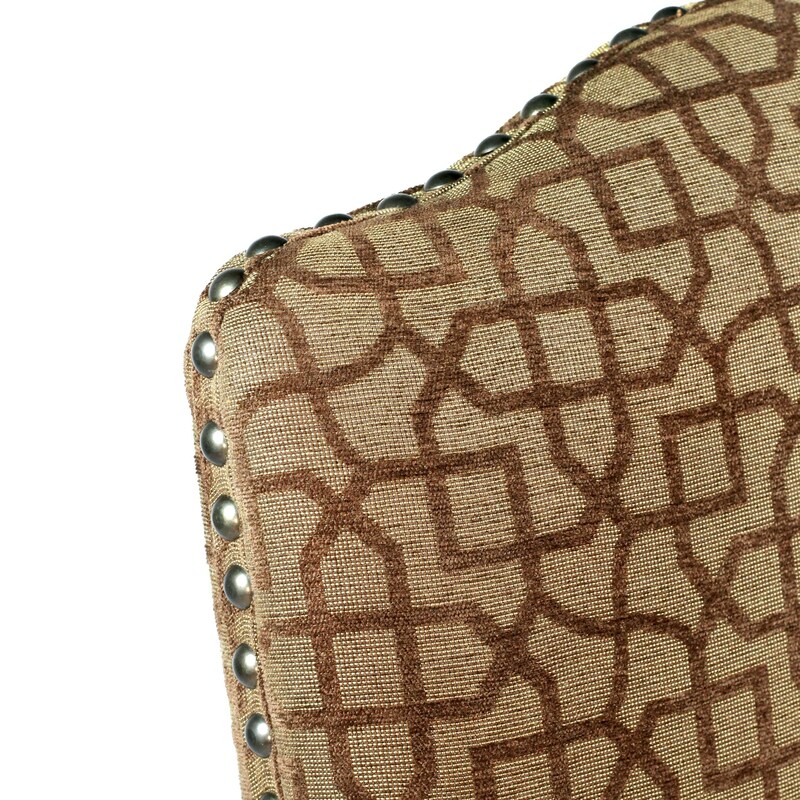 This elegant dining chair features rich brown geometric geometric chenille fabric with a rustic brown vegan leather seat for long lasting durability.. This collection features classic European designs. All chairs are distinctively made with environmentally protected hard woods. All exterior surfaces are finished with durable furniture sealers to protect the wood and resist water. Each piece is uniquely distressed to accentuate the wood and give it a very natural but elegant look.